Our Partners, Dr Sasa and his ‘Health and Hope’ Society, train Community Health Workers (CHWs) who serve remote villages all across Chin State, Burma, with basic but life-saving medical skills. 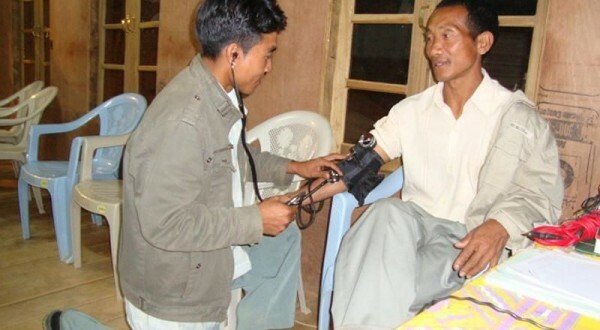 These CHWs use basic medical equipment, such as stethoscopes, and in adverse physical conditions, equipment can wear out or become damaged easily. This gift is equivalent to resupplying one CHW with medical equipment they need to do their work.